The area was first settled before the Civil War by planters from the old South, but the city was not founded until 1872, when the International-Great Northern Railroad built a line between Longview and Palestine. The railroad bypassed New Danville, and the company platted a new town, which they named for Constantine Buckley Kilgore, who sold the 174-acre townsite to the railroad and urged many of the businesses of New Danville to move there. A post office opened in 1873, and by 1885 Kilgore had two steam gristmill-cotton gins, a church, and a district school; the estimated population was 250. The Kilgore State Bank opened in 1906, and an independent school district was formed in 1910. By 1914 the town had two banks, Baptist and Methodist churches, a newspaper, two cotton gins, several general stores, a drugstore, an ice cream parlor, a hotel, and a reported population of 700. The town reached a population of 1,000 in 1929. But the combined effects of the Great Depression and the decline of cotton, on which the town’s economy had largely depended, brought a steep population decline. By the middle of 1930 the number of residents dropped below 500, and many businesses had been forced to close. However, the normal, everyday life of the Kilgore community was dramatically altered on December 28, 1930, when the Lou Della Crim #1 came in with more than 20,000 barrels of crude oil per day. The discovery of the surrounding East Texas oilfield in the fall of 1930 transformed Kilgore from a declining rural community into a boomtown. Within days thousands streamed into the town, erecting tents and shacks in every available vacant space. Honky-tonk bars sprouted up around the town; schools and other public institutions were overwhelmed. By 1936 the town’s population had swelled to 12,000. To deal with the onslaught, the city incorporated in February 1931. But the huge increase in production caused oil prices to fall precipitously, and in August of 1931 Governor Ross Sterling ordered martial law to control production and bring order to the area. The boom began to subside in the mid-1930s. 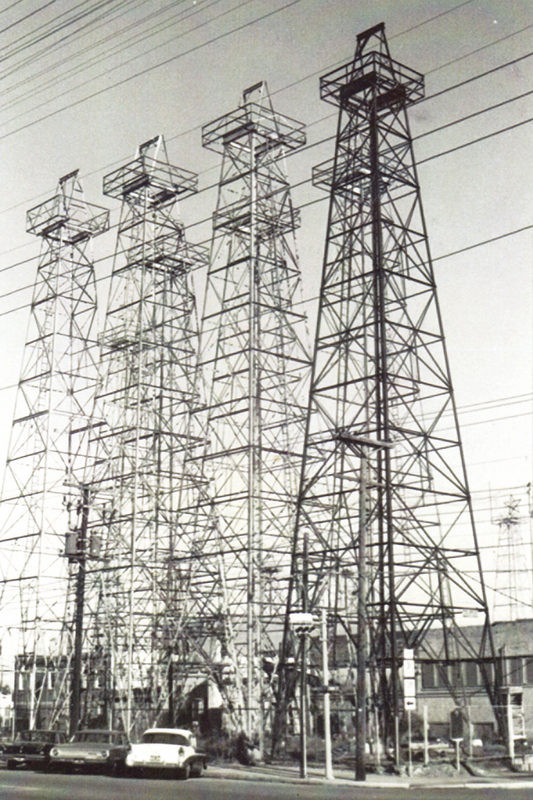 Major oil companies gradually bought out most of the independents, and by the eve of World War II the boom was largely over, although oil production in the area continues. During the 1950s and 1960s the population stabilized. In 1965 Kilgore had an estimated 10,500 residents and 578 rated businesses. In 1990 the population was 11,066, in 2000 it reached 11,301 and in 2012 the population reached a population of 13,165.